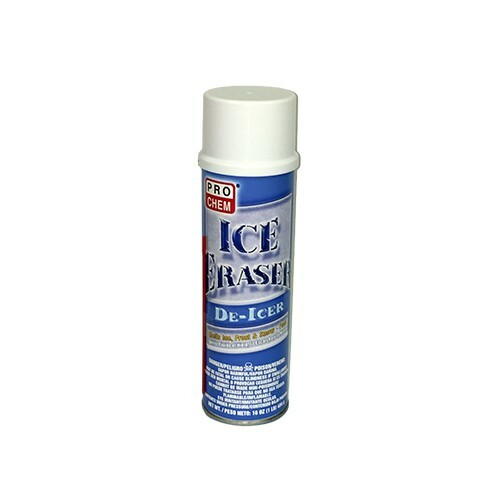 ICE ERASER | Pro Chem, Inc.
ICE ERASER quickly melts frost, ice and snow. Its high-volume spray quickly removes these from windshields, vehicle windows and headlights. It unfreezes locks and windshield wipers. To Prevent Frozen Windshields & Locks: Apply ICE ERASER immediately before freezing weather is expected. 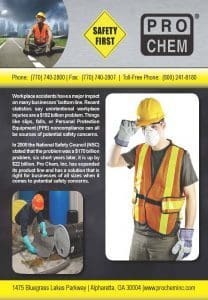 Use once every week in locks during cold weather. To Melt Ice On Windshields, Car Windows & Headlights: Start up car and turn on defroster. Hold can upright, direct spray toward ice and press button. For quicker action on windshields, turn on wipers. To Open Frozen Locks: Hold can upright, close to lock, direct the spray into lock. Will not harm vehicle’s finish.